Rotary Means Business Northern California, District 5130. 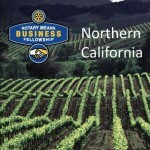 The NorCal Group represents members Rotary District 5130. As a member of this great group, you will receive messages about events and information about things going on in our area. The RMB NorCal Group is looking for businesses that wish to host a Networking meeting for the months of September (September 3rd), October (October 1st or 8th), and November (November 5th). 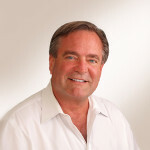 Please make contact with Wayne Rowlands at the email wayne@waynerolwands.com or cell 707-486-0786. This is a great way to promote your business. Tomorrow (Thursday July 9th) I will get to play with my new toy at the Rotary Means Business Networking meeting. This machine will make some great margaritas that will go great with my famous ribs! Plan to come and have a great time.